1 OWNER! CLEAN HISTORY REPORT! DRIVER SIDE POWER SEAT! REAR BACK UP CAMERA! KEYLESS ENTRY! BLUETOOTH! Preferred Auto Illinois Road is excited to offer this 2015 Nissan Rogue. 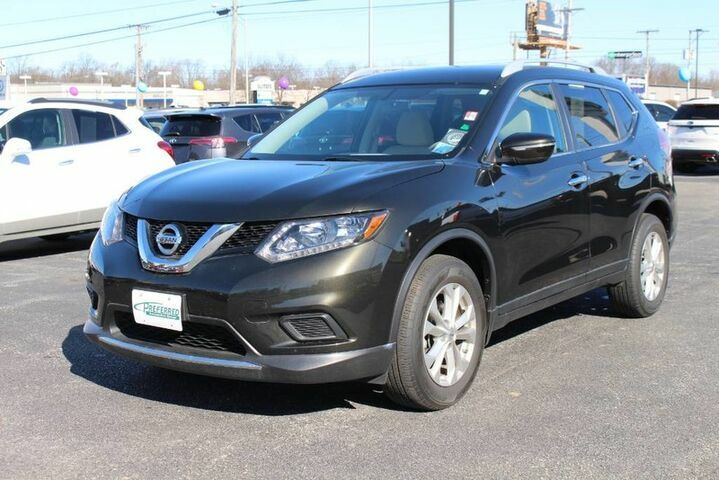 This Nissan Rogue offers all the comforts of a well-optioned sedan with the utility you demand from an SUV. The impressive Nissan fuel-efficiency will make you quickly realize what you've been missing out on in life. It's noteworthy fuel economy and minimal emissions make this vehicle's value a cut above the rest. The Nissan Rogue is a small SUV/crossover, offering a more car-like driving experience than the more hard-core Nissan Xterra. This puts the Rogue in direct competition with vehicles like the Toyota RAV4 and the Honda CR-V, two vehicles with several generations and years of success under their belts. In order to remain competitive, Nissan has equipped the Rogue with a bevy of features and some very reasonable base prices. The Rogue starts at just under $23,000, while even the top trim model with all-wheel drive can be had for under $30,000. With available three-row seating, the Rogue is possibly one of the most versatile vehicles available at such a low price. Interesting features of this model are high-tech features, optional third row seating, available all-wheel drive, and Affordable.